New boats highlight third annual boating showcase at Cabrillo Way Marina. 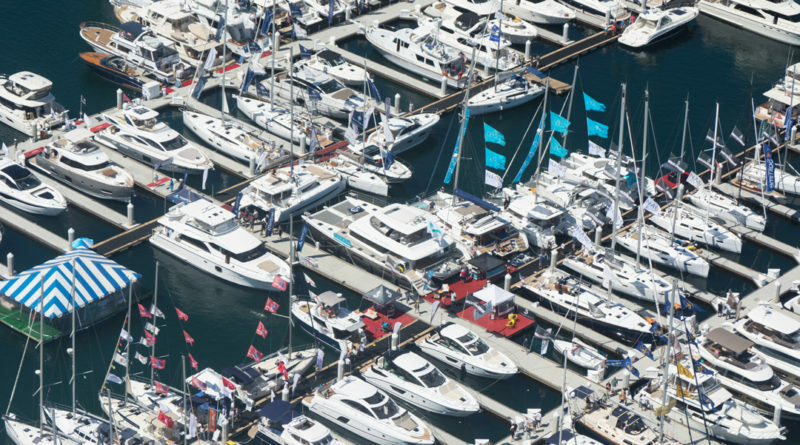 SAN PEDRO — The final Southern California boat show of 2018 is finally here, which means it’s also the official end of summer (literally, as the final two days of show are in fall). Boating season, of course, never really ends in Southern California, making the third annual L.A. Harbor Boat Show the perfect place to extend your summer. Cabrillo Way Marina at the Los Angeles Harbor will host the boat show, which will feature 83 exhibitors (as of press time) and plenty of new boats (including the first-ever production foiling one-design monohull). This year’s exhibitors include Alexander Marine USA, Bayport Yachts, California’s Division of Boating and Waterways, Chuck Hovey Yachts, Denison Yachting, Euro Yachts International, Flying Cloud Yachts, Hampton Yacht Group of California, Inflatable Boat Specialists, Integrated Marine Systems, La Paz Tourism Board, Los Angeles Maritime Institute, McKinna Yachts of SoCal, Mexican Marina Association, Naos Yachts, POP Paddleboards, Seacoast Yachts, Silver Seas Yachts, Stan Miller Yachts, TradeWind Inflatables and Yachtbedding.com. Included in this issue is a map of the in-water display (and adjacent areas of the show) and the full exhibitor list. May both of these serve as a guide to help you find your way around the show (which officially started before this issue hit the stands). Fri., Sept. 21, noon-7 p.m. Sat., Sept. 22, 10 a.m.-7 p.m. Sun., Sept. 23, 10 a.m.-5 p.m. Admission is $15 for the general public; those with valid military identification receive $5 off, while children 12 and younger are free. Parking is $10 and available at the end of Miner Avenue (Berth 46); a shuttle is available from the lot to the boat show. For the latest in show features and dealer information, visit www.LAHarborBoatShow.com. Tickets to the show are available for purchase on the website. The LA Harbor Boat Show is produced by The Duncan McIntosh Co., publisher of Sea Magazine, Boating World, The Log Newspaper, FishRap, Editor & Publisher and OC Weekly; the company also produces the Fred Hall Shows, Los Angeles Boat Show, Newport Boat Show and San Diego International Boat Show. Upcoming event dates include: LA Harbor Boat Show, Sept. 20-23, 2018; Los Angeles Boat Show at Fairplex, Pomona Jan. 10-13, 2019; Fred Hall Show in Long Beach, March 6-10, 2019; Fred Hall Show in Bakersfield, March 15-17, 2019; Fred Hall Show in San Diego, March 28-31, 2019; Newport Boat Show at Lido Marina Village, Newport Beach, April 25-28, 2019; and, San Diego International Boat Show, June 6-9, 2019.